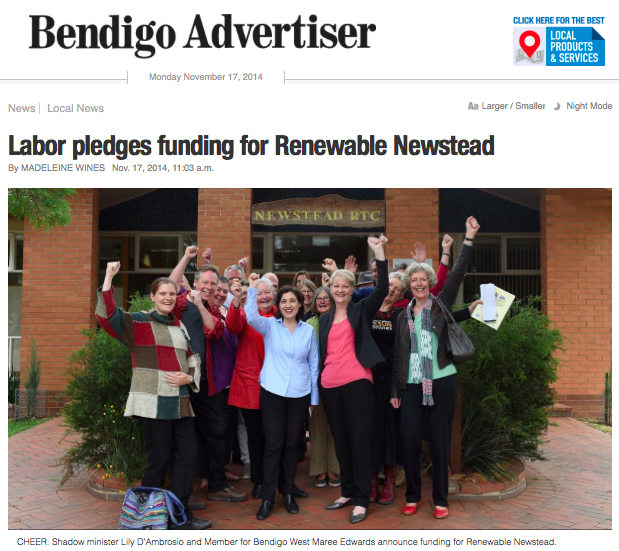 Friends of the Earth welcome the Labor party’s commitment of $200,000 to help Newstead become Victoria’s first solar town. The central Victorian town of Newstead has set a 100 per cent Renewable Energy Target by 2017. The $200,000 grant will assist the local community to develop a master plan for the renewable energy project. Newstead is not alone in its ambition to be powered by 100 per cent renewable energy. This weekend, Yackandandah in north east Victoria will declare its own Renewable Energy Target of 100 percent by 2022. “Dozens of towns across Victoria have declared themselves gas-field free. We’re now seeing the emergence of towns declaring their intent to be 100 percent renewable,” enthused Mr Ewbank. 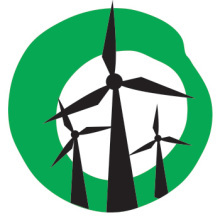 Friends of the Earth have called on the Premier Napthine and opposition leader Daniel Andrews to commit to restoring a Victorian Renewable Energy Target that works alongside the national scheme. “Will Daniel Andrews and Denis Napthine throw their weight behind the community’s aspirations and embrace a Victorian Renewable Energy Target?,” asked Leigh Ewbank. The Labor party has stated conditional support for reintroducing a VRET if the Abbott government axes the national scheme. Labor candidate for the super-marginal seat of Ripon, Daniel McGlone, and marginal South Barwon, Andy Richards, personally support a Victorian Renewable Energy Target. 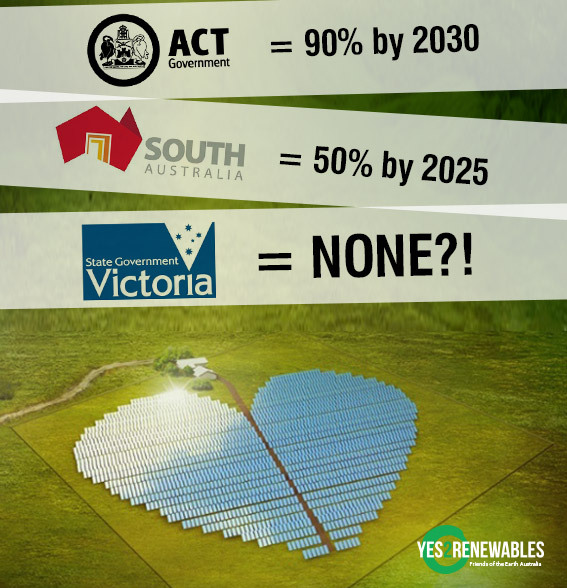 The Victorian Greens have endorsed the call for a Victorian Renewable Energy Target. So Newstead will be disconnecting itself from the grid? What happens at night?